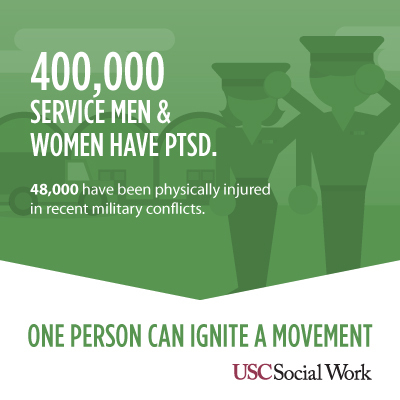 The following post is from AmeriCorps Alums partner, the University of California Masters of Social Work. Learn more about their program and $5,000 scholarship for accepted AmeriCorps Alums here – and please join their webinar hosted on 8/21 at 8:00 PM EDT to hear more information on the program and testimonials from current students who are AmeriCorps Alums. Some social issues can seem like they are impossible to solve. The scope of solving hunger in America or helping wounded veterans overcome post-traumatic stress disorder. Yet, a single person can make a difference by taking initiative. 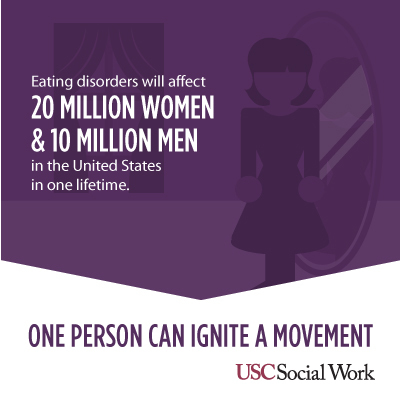 Are you the next person to ignite a movement? Let the following examples of individuals inspire you to take action for the causes that matter to you most. The idea: Negative self-talk, or “fat talk,” is toxic emotionally, spiritually and physically. It’s time to end it. The movement: Caitlin Boyle was tired of feeling the pressure to look “perfect,” and she was fed up with hearing other girls point out their physical flaws. With nothing more than a sticky note, a pen and her positivity in place, Boyle began leaving “you are beautiful” messages everywhere she went. She snapped a picture and posted it on her blog and asked her readers to join her in this small act of random kindness. Almost immediately, women from all walks of life began posting their own anonymous notes in public places and sending pictures to Boyle. What started out as a scribble on a mirror has grown into a movement now known as Operation Beautiful that is helping women everywhere end negative self-talk about body image — one sticky note at a time. The idea: Surplus food should not be thrown out or go to waste if some Americans are still struggling with hunger. The movement: Ben Simon couldn’t stand seeing the food from his school’s dining hall go to waste at the end of every night, so he decided to take action. He formed the Food Recovery Network at the University of Maryland, College Park. This initiative recovers huge amounts of still delicious and nutritious leftover food from campus dining halls that would otherwise be thrown out, and donates it to those in need. Simon decided to think big and began spreading the idea of food recovery to college campuses all over the United States. His innovative model won him grants and the attention of students interested in starting programs at their own schools, which helped the Food Recovery Network expand. 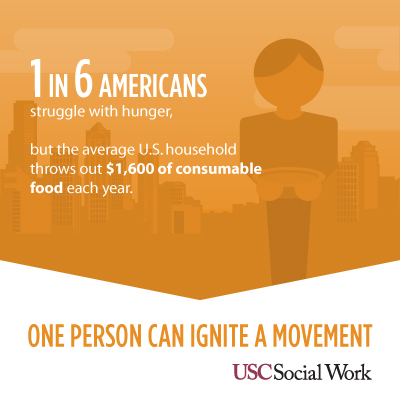 What started out as Simon and a few other students going to dining halls one night a week to pack up excess food and transport it to nearby shelters and food banks quickly grew into a nationwide movement aimed at ending hunger. As of February 2014, there are programs at 53 colleges in 20 states and in Washington D.C. The Food Recovery Network has recovered more than 250,000 pounds of food. The issue: Wounded veterans struggle with issues of post-traumatic stress disorder, depression, disability and overall self-esteem. The idea: Have wounded veterans rediscover their power through sport. The movement: After Ganem sustained injuries in the Iraqi war and returned home, he didn’t stop serving his country. He now spends his time and energy advocating for wounded veterans, taking on leadership positions in the veteran community such as captain of the Wounded Warrior Amputee Football Team. The team plays in a league against former NFL players to raise awareness and support for wounded warriors and their families. Ganem is dedicated to emphasizing that all veterans are able to contribute at home, ready to excel in the work place, and continue to be patriots and ambassadors for our country. 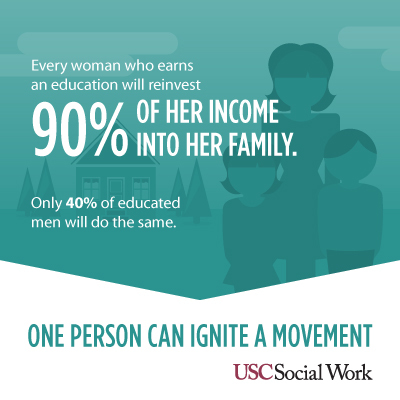 The idea: Every girl deserves access to education. The movement: When the Taliban started banning girls from attending school in her hometown, Malala Yousafzai openly questioned its authority and fearlessly advocated for women’s right to education. In order to get her story out to the world, Yousafzai used a pseudonym and began blogging for BBC about her life under the Taliban’s control, detailing its threats in denying her an education. The world turned its attention to this brave, young girl. In an attempt to silence her, the Taliban shot Yousafzai in the head while she was riding her school bus. The attack left her in critical condition. As traumatizing as that event was, after her recovery Yousafzai continued to stand up for what she believed was right. Although the Taliban still targets her, Yousafzai continues the fight. The Malala Fund aims to empower girls to raise their voices and unlock their potential through education. Supporters of the cause include the United Nations Foundation, Girl Up, and countless other organizations and individuals who are all working together to realize and achieve Yousafzai’s vision of education for girls around the world. If you’re interested in reading more, AmeriCorps Alums previously profiled the program and Alum student Jennifer Martin here. ← What Fosters Community, Self-Awareness, Passion, and Purpose?